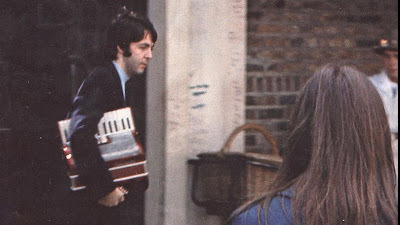 The Daily Beatle: Paul the accordionist? 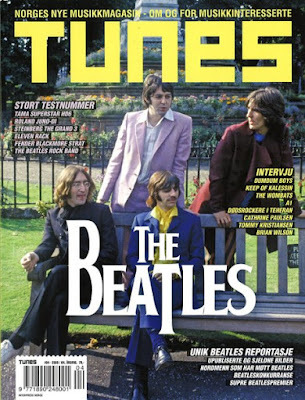 The latest issue of the Norwegian music magazine Tunes has a great Beatles cover, and an article about Norwegian Beatles fans who have met The Beatles or members of the group. 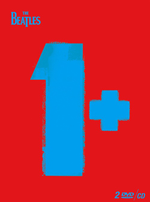 The article has been written by Nils V. Gjerstad. One of the more interesting stories is accompanied by a photo of Paul McCartney with an accordion. 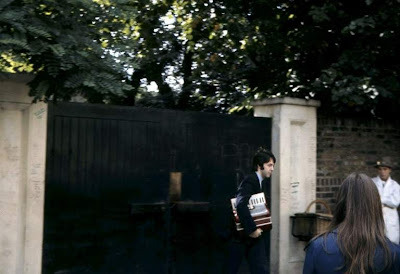 The fan photo was snapped on the 13th of August 1968 by a 18 year old Beatles fan Egil Gjerde, and speculation is that this might be the accordion from "Rocky Raccoon" on The Beatles (White Album). The song was recorded August 15th. The accordion player on Roccy Raccoon has never been documented, maybe this is the one! The harmonica and accordion appeared in the song Rocky Raccoon from the double white album titled The Beatles (Apple: November 22, 1968) and helped give the song it's cowboy flavor: it is set in the American wild west of the 19th century. Other factors which contribute to its bawdy saloon atmosphere are 1) Paul McCartney's half-spoken sprechgesang introduction in a mock cowboy dialect and 2) an extensive honky-tonk piano solo. The song tells the story about a young boy -- Rocky Raccoon -- who loses his girlfriend to another suitor who called himself Dan. Rocky decides to get back at his rival and shoot him. However, as Daniel was the better marksman, he drew first and wounded Rocky who collapsed in a corner. He said Danny boy this is a showdown. He said "Rocky, you met your match." And I'll be better. I'll be better doc as soon as I am able." 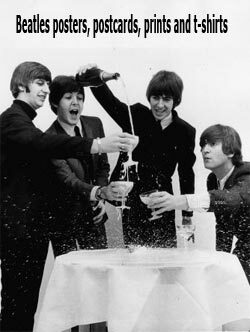 Considering the high quality of all the other performances on the album -- and the sloppiness of the accordion part -- it is possible that Paul McCartney (the actual composer of Rocky Raccoon), intended the accordion to represent the drunk doctor and therefore deliberately had the instrument played badly. However, I doubt if this "word painting" was intentionally planned. 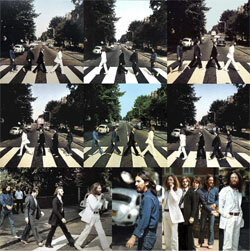 I suspect that Paul or John simply had difficulty controlling the bellows and coordinating the right and left hands. 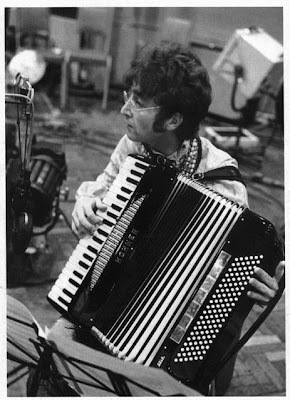 John borrowed the accordion to run through some parts of "All You Need Is Love" with some of the players in the studio during a recording session. 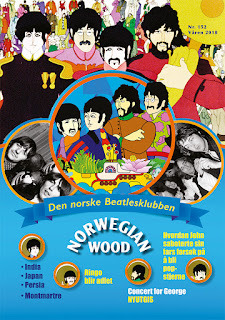 It was recorded on June 14th 1967.